If you’re like most of us, you rarely keep your New Year’s resolutions. 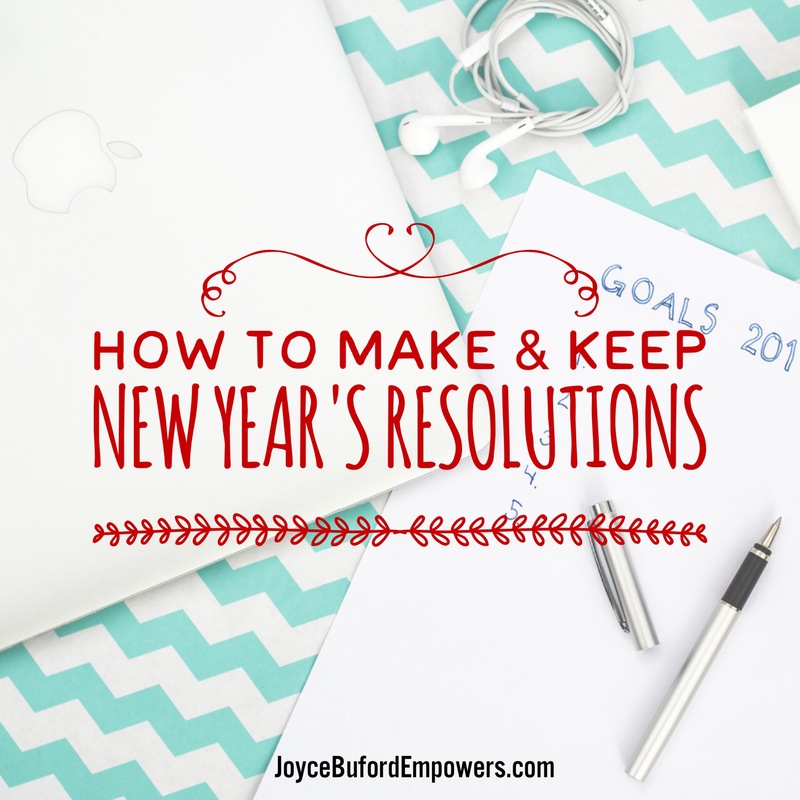 Perhaps you have trouble with them because you make resolutions that are too ambitious. Or maybe you give up because immediate progress is hard to see. Whatever your reason, it’s possible to make adjustments in your approach until you get what you want. If you want to keep your New Year’s resolutions, you first have to learn to make the kind you can actually follow through on. 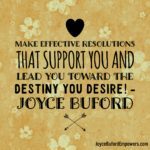 Make effective resolutions that support you and lead you toward the destiny you desire. 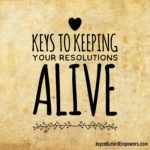 Create unstoppable momentum by creating resolutions that lead to small, continuous victories. Focus on what kinds of changes you really want to make in your life. Do you want to lose weight? Quit smoking? Go back to school? Write a novel? There are all kinds of things you may want to do, both big and small. In order to get them done, you have to first get started. If you have a big goal, break it down into smaller, bite-sized chunks. Saying you want to write five books next year, lose 100 pounds, or get your 4-year degree are goals that are very worthwhile goals. But they’re only attainable if you break them down into smaller actions you can accomplish in real life. Write down the actions you must take to write those books, lose those pounds, or get that degree. What one small action can you take today to move yourself closer to your goal? Take that action, and write down actions you can take each day for the next ten days. When you do, you’ll create unstoppable momentum toward the success you deserve. Tracking your progress is vital to successfully keeping your New Year’s resolutions. Pay close attention to your progress. Make an effort even when you want to throw in the towel. The only way to fail at New Year’s resolutions is to give up. Notice what’s working and what needs to change in your approach, and then adapt your tactics until you get what you want. Setbacks provide great feedback that helps you to get on track. Use your setbacks to set yourself up for an even bigger comeback. When you do that, you’ll get more accomplished than you expected to, even if you fall short of your goal. Above all, decide what’s important to you and go after it with all your might. When you do, you’ll begin to experience the fulfilling life you deserve. On Saturday, January 21st I’ll be hosting a Vision Board Workshop and I’d love for you to join us. Click here for the details. Taking time to visualize what the end goal looks and feels like will help you be more successful in keeping your New Year’s Resolutions.